Don't have an account yet? You could create one. Please click here if you attend/attended the school. 1) Registration is for the school year (September to June, 32 weeks). Classes start at 1:30 pm until 4:30 pm every Saturday except holidays. The start date of this school year is 2018-09-08. 3) Tuition: $600.00 (including Culture Classes), Teaching Materials Fee: $60.00 ($30 for above Grade 5 due to use different textbook), Registration Fee: $30.00 per family. Parent Duty deposit $30.00. The registration fee can be waived if the school receives the check by 2018-08-15 based on the postmark. Half tuition will be applied if you enter the school after 2019-01-01. The 3rd sibling receives 20% discount for tuition. Tuition for the adult class is $800 total per school year. Tuition for SAT class is $220. Culture class only is $300 total per year. 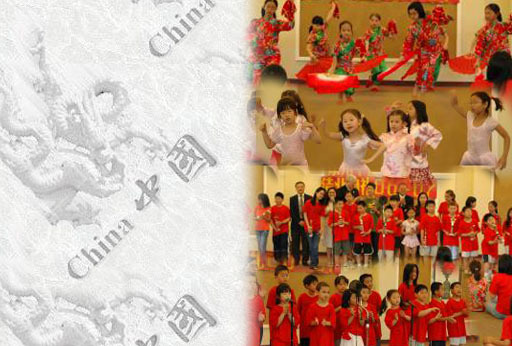 4) Please send your payment to Huaxia Chinese School-Connecticut, P. O. Box 3227, Danbury, CT 06813-3227. 5) Culture Classes will be changed depending on the number of registrations. Fees for Culture Classes are included in the tuition. Additional material fees for some culture classes may be collected per teacher’s instruction. 6) Each family will be arranged to have at least two times parent on-duty services each school year. Parent should notify school and find their own substitute if they cannot serve as assigned. No deposit shall be refunded to parents who are absent on duty, or serve less than 4 hours and should make new deposit $30.00 this year. 7) Tuition will be fully refundable for withdrawals made prior to the third(3rd) school class; 50% of tuition will be refunded for withdrawals prior to the fifth(5th) school session. The textbook fee and the registration fee are nonrefundable. 8) Language class teachers will distribute textbooks (if the class has it) at the first school day based on registration and tuition payment record. 9) School contact Email: huaxiact@gmail.com for school information. 10) For current students' registration, please refer to their report cards to select grades. For the new students whom brothers or sisters have been in this school before, please click Returned Family Registration to register. For brand new students (new family and new student), please click New family Registration to register. This online registration is subject to change without notice.